I absolutely LOVED the first 75 pages or so of this book. I thought he was writing a book that would inform me of the time in we live. But then it seemed to turn into something else, and I lost interest in what he was doing. Yup. I thought something wonderful was going to happen too, and then it just didn't. 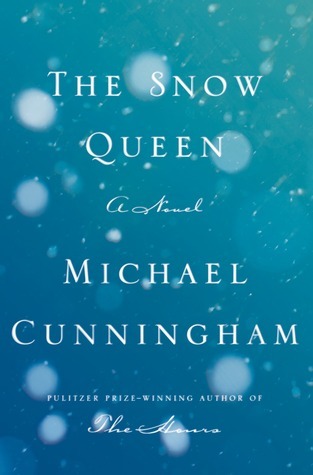 Cunningham's writing is lyrical, but I don't always connect to his characters or feel invested in his stories. Sounds like The Snow Queen kind of follows that pattern. I've never read him! I'll start with the Pulitzer. How is it that there are so many authors that I've never been exposed to--even Pulitzer authors?! There are just too many!! Dang! I had high hopes for this one, perhaps magical realism and a story of family relationships. I don't like fiction that hits us over the head repeatedly and heavy-handed with politics or religions or anything of that matter, regardless of whether I agree or not with the viewpoint. It distracts, and detracts, from the plot. Thanks for the heads-up. Not my cup of tea. I've read a few other reviews similar to yours . . . I think I'm going to cross this one off my list now. Darn. But you know, it's always good to have a reason to thin out the TBR list! Oh goodness. My TBR list is very unwieldy. I guess I'm glad I could help?? How disappointing! I love fairy tale retellings, but it sounds like this really isn't one, and I almost never like it when stories become a mechanism for an author to share their opinions. I thought it might be but it seems that he went in a different direction!